Petit World: What City is This? I’m on the move again. This time to one of the most romantic cities in the world. Walking down cobblestone streets and stopping in small shops that sell everything from antiques and art to artisanal cheese and pastries, this romantic city seduces from first view. Hint: Filled with European sensibility and old world charm, fortress walls still encase a portion of the city and a hotel with castlelike turrets dominates the landscape. If you know where this is and/or have visited, I’d love to read your comments below! It looks beautiful but I have no idea where it is. Quebec City, beautiful place. More about it to come on the blog! Yep! You’re correct. Have you ever been? Quebec City, with a view of Le Chateau Frontenac! Absolutely! Le Chateau Frontenac is iconic! Inviting and a look back in time. 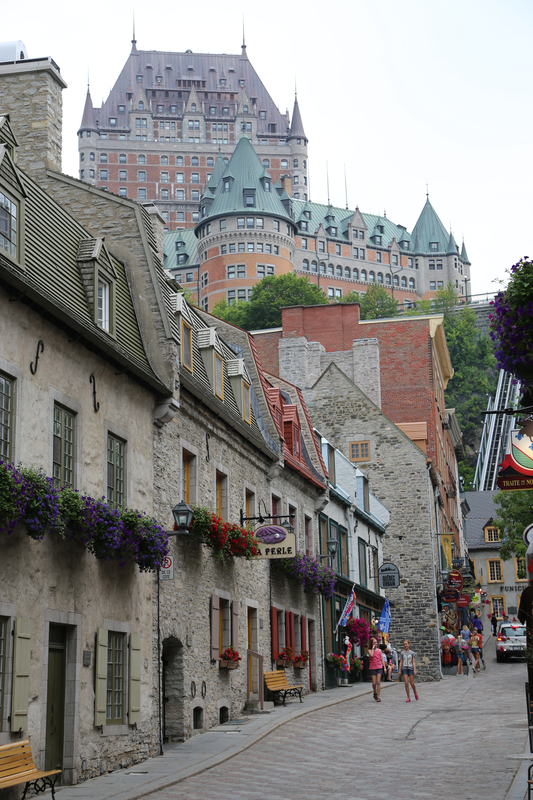 The Old City in Quebec is a perfect place to walk the streets and just wander….